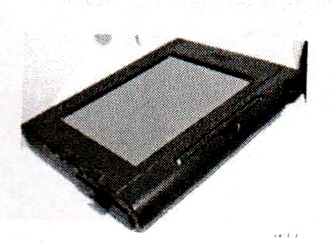 Emerging as the first tablet PC in 1990, with the touch screen and stylus technology. Because the fees are too high to make this product can not be developed further. 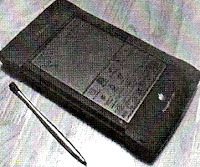 In 1993, Apple released the Apple MessagePad products are equipped with a touch screen that is able to recognize patterns, although still relatively weak writing. Due to the high price and the lack of additional applications that make Apple MessagePad can not last long. 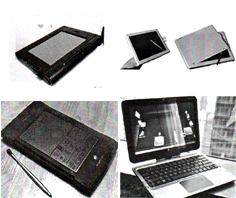 In 2002, the product was introduced tablet motion computing notebook M1200 using windows operating system tablet PC. Battery life is weak and excessive heat generated makes this product to be submerged in the market. 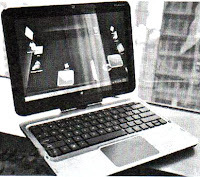 In 2010, Hewlett-Packard released the HP TouchSmart TM2 Tablet that has a touch screen display and can rotate.